By the latter half of the seventeenth century, the practice of drawing up a will had become commonplace, and people were increasingly encouraged to set down their final wishes in a ‘last will and testament’. Although intended to clarify ownership, these documents often provoked conflict amongst those who had survived the testator. 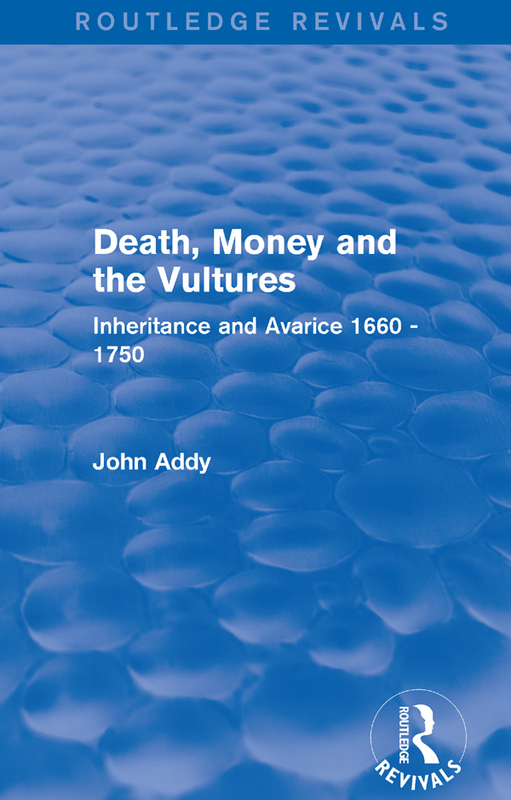 As John Addy shows in this study, first published in 1992, where there was a will, there were relatives. Drawing on a large corpus of contemporary evidence, this survey analyses numerous cases of the family disputes that arose from wills, to form a picture of the attitudes and priorities possessed by those who contested them. This was one of the first studies to use contested-will material, and remains of great value to students of early modern history, sociology and genealogy, as well as general readers with an interest in local history.